Delightful from first to last sip. 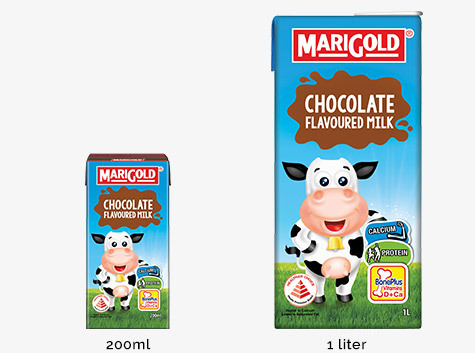 MARIGOLD UHT Milk is the ideal nutritious drink for everyone at all times of the day. 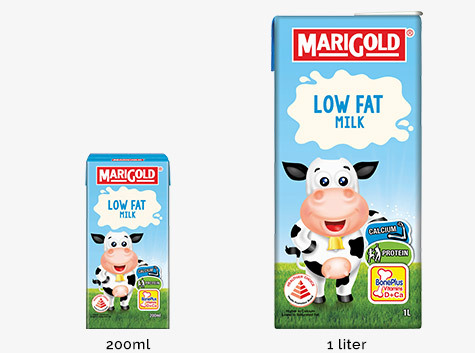 What’s more, MARIGOLD UHT Milk is enriched with calcium, protein and MARIGOLD’s unique BonePlus formulation. Start your morning with a glass of breakfast nutrition and end it with another before bedtime. 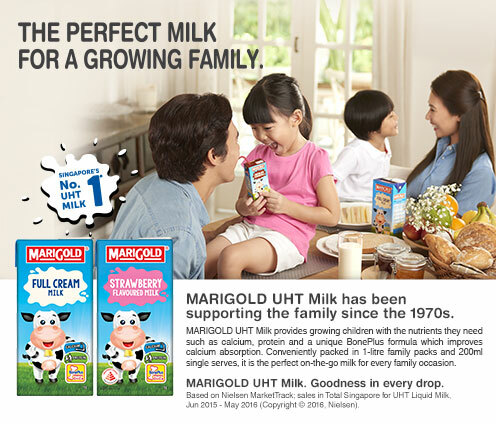 With MARIGOLD UHT Milk, you will enjoy a good day’s work and a good night’s rest! 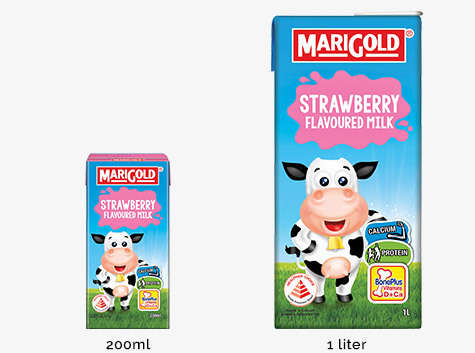 MARIGOLD UHT Milk is available in four delicious variants – Full Cream, Low Fat, Chocolate and Strawberry, and in 1-litre family packs and convenient 200ml single serves. 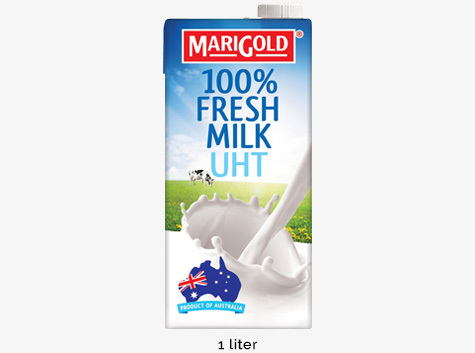 MARIGOLD UHT Fresh Milk 1L is imported direct from Australia, offering discerning consumers premium quality milk from the green pastures of Australia. With our MARIGOLD UHT Milk conveniently packed in Tetra-Pak, one can drink it anytime, anywhere, chilled or non-chilled. MARIGOLD UHT Milk. Goodness in every drop! 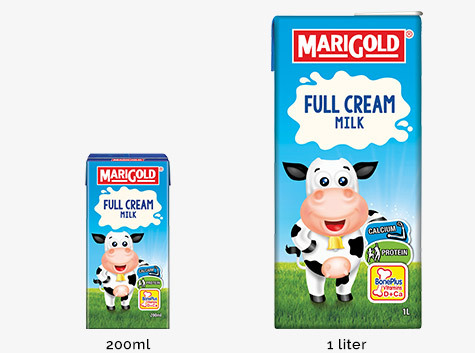 With the unique BonePlus formulation that adds Vitamin D and calcium for synergistic calcium absorption, MARIGOLD UHT Milk helps growing children develop strong bones and teeth!